We are certified by Maricopa County Air Quality to provide dust control services for Phoenix, Arizona and the surrounding municipalities. Our water trucks are available for SWPPP* services, site maintenance, street cleanup and dust control. A MCAQD (Maricopa County Air Quality Dept) authorized Arizona Dust Control permit and Dust Control Plan must be on site prior to conducting any Dust Generating Operation in Phoenix and Maricopa County. Dirt Track out/ Carry out may not exceed more than 25 cumulative feet on any construction project. Clean it up Immediately! Site construction entrances must be at a minimum a total of 30 feet wide, by, 50 feet long, by 3 inches deep. 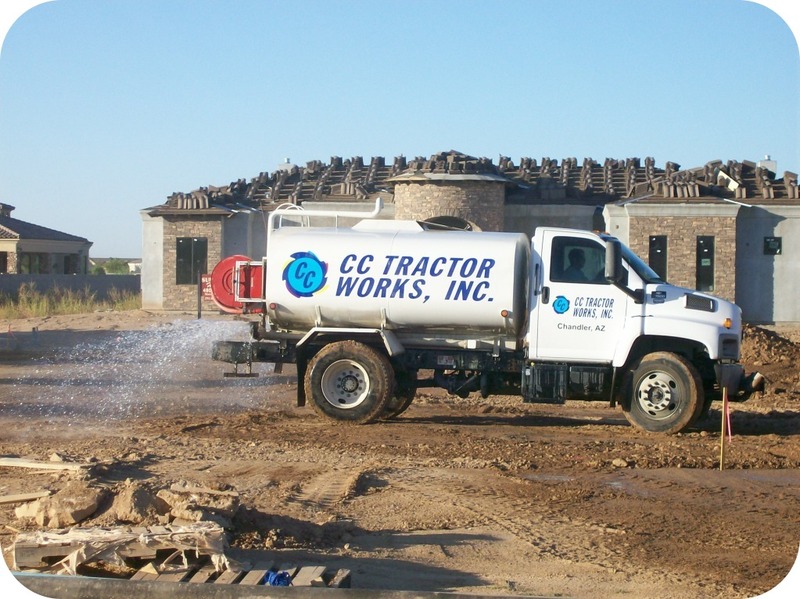 Comprehensive Dust Control Coordinator certification is required on all projects that disturb 5 or more acres of land. MCAQD has required that this certification be obtained by June 30, 2008. Basic Dust Control Coordinator certification is required on all projects that disturb between 1 and 5 acres. MCAQD has required that this certification be obtained by December 31, 2008.